The latest scare to alarm travelers is Chikungunya, an untreatable mosquito borne virus that results in a dengue fever-type illness. and in some cases, death. It has spread throughout the Caribbean and is threatening th e livelihood of the world's most tourist-dependent area. Originally discovered in Tanzania in the 1950s, in December 2013, the World Health Organization (WHO) reported local transmission of chikungunya on the French side of Saint Martin. Local transmission means that mosquitoes in the area have been infected with chikungunya and are spreading it to people. This is the first time that local transmission of chikungunya has been reported in the Americas. It has affected more than 4,600 people in a little over six months, according to a reports from the Pan American Health Organization. Chikungunya is an illness caused by a virus that spreads through mosquito bites. The most common symptoms of chikungunya are fever and joint pain. Other symptoms may include headache, muscle pain, joint swelling, or rash. There is no cure for the disease. Though it’s not fatal, it causes fever, pain, fatigue and can lead to chronic joint pain. 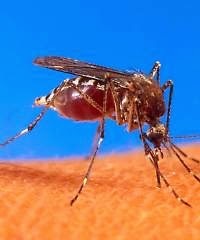 The mosquito that carries chikungunya virus can bite during the day and night, both indoors and outdoors, and often lives around buildings in urban areas. 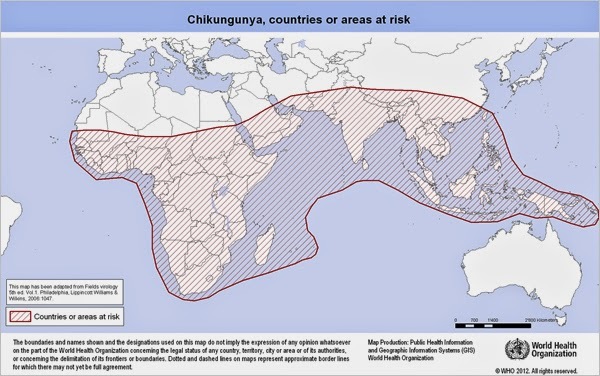 Don't cancel your travel plans; chikungunya is in the U. S. too. Do avoid mosquito bites which means traveling with and using mosquito repellents. Consumer Reports recommends starting with plant-based repellents such as Repel Lemon Eucalyptus or Natrapel. If you use deet, which can cause serious reactions, stay with products using lower concentrations, never more than 30 percent deet. Better to apply and reapply a 15 percent deet product. On the boardwalk at Atlantic City, NJ. Photo © Judy Wells. Casinos, urban renovation, steel piers, diving horses and salt water taffy, yes, but an island? Never thought of Atlantic City that way. Urban renovation has a long way to go, casinos are, well, casinos, the steel pier is concrete, there are no more diving horses, but the ocean and salt water taffy are very much there. Ducktown for Italian food. Photo © by Judy Wells. Ducktown and the back or bayside are where the natives gathers. Southern Italian food rules Ducktown - Angelo's Fairmount Tavern, Formica Bros. Bakery and Angeloni's II - are particularly popular. Best northern Italian meal? Definitely the elegant Capriccio's in Resorts overlooking the ocean. For breakfast head to Gilchrist's at Gardner Bay where blueberry pancakes melt in your mouth, the service is fast and friendly and the marina view from the 34th floor is hard to beat. It's high season at the moment so don't expect any deals. After Labor Day when schools are back in session but the weather is still good, keep an eye out for specials. View-tific Lap pool room at Immersion at Borgata's. Photo © by Judy Wells. set up for a special event. Spa prices are pretty much the same so you might as well go for the best. My vote goes to the sophisticated Immersion Spa at Borgata Water Club, a world away from beachfront casinos, and the efficient Spa at nearby Golden Nugget. Forget the "If it's Tuesday this must be Belgium" image of packaged tours. Travelers' expectations have changed and so has the tour industry. Take Collette Tours, which many may remember from their come with us to Italy commercials. In 2014 they are paying homage to Elvis - Jan. 8, 2015 will have been his 80th birthday - with an eight-day, three-city - New Orleans, Memphis and Nashville - tour of Southern American music hubs. More far-reaching, a 15-day tour of South Africa's floral wonders. New in 22015 are four- to six-night city tours which include morning activities such as guided orientation tours, local hosting and some meals but leave afternoons and evenings free for your own independent explorations. Initial packages will be for Florence, Rome, Venice, New Orleans, San Francisco, Paris, Dublin, London, Barcelona, Madrid, French Riviera, Beijing, New York and San Antonio. Prices go from $999, land only, for Beijing to $1,749 for Paris and New York and $1,899 for Barcelona. Another company, Lynott Tours, offers escorted, self-drive, car and driver and city packages with day tour options. Two unique events during the Civil War - the Union Army's arrest and deportation of Roswell, GA's female mill workers and the Confederate capture of the Shriver House, now a heritage museum, and the battle's gruesome aftermath - will be reenacted during July. What: Confederate sharpshooters take over a strategic house and how 2,400 residents coped with 7,000 dead men, 5,000 dead horses and 21,000 seriously injured soldiers. When: 5-9 p.m., July 5, 2014. Where: Shriver House Museum, 309 Baltimore St., Gettysburg, PA.
What: In July 1864, The Union Army arrest 400 mill workers for treason and send them north via train to prison camps. Includes encampment by Federal troops on the front lawn of Barrington Hall, demonstrations of 1860s formal dancing, Civil War Era music, 1860s style (wet plate) photographers – weather permitting and a sutler (1860s merchant who followed the troops). When: 1 p.m. and again at 3 p.m., July 12 & 13, 2014. Where: Town Square, Roswell, GA.
Go to the source for good deals. What: Furniture Festival and Clearance Sale features meet-ups with artisans and craftsmen plus markdowns of up to 60-70 percent on name furniture brands at North Carolina's famed furniture mart. When: 9 a.m.-6 p.m. July 25and 26, 1-6 p.m. July 27. Where: 2220 US Highway 70 SE; Hickory, NC. 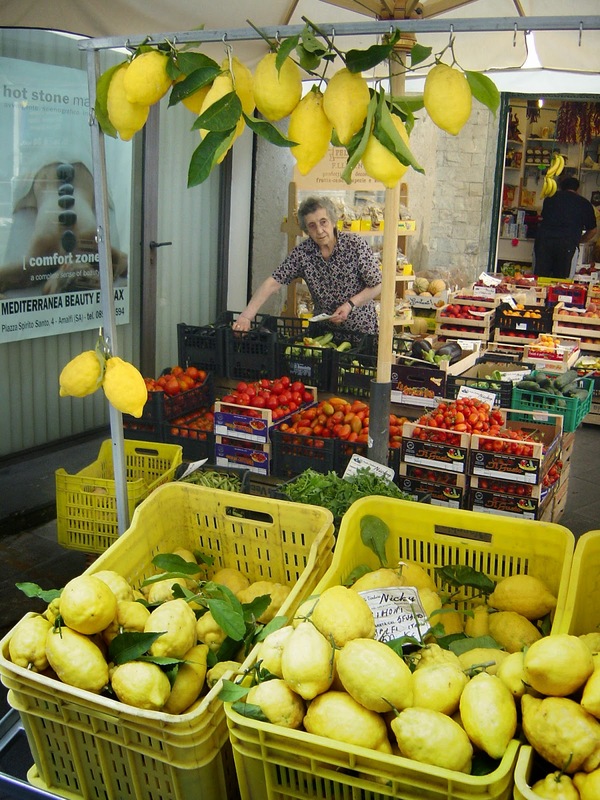 Shop on Amalfi Coast. Photo© by Judy Wells. Cinque Terre, Sienna and San Gimignano, ticket for 48-hour hop-on, hop-off bus in Rome plus transfer to airport. When: Daily departures now until Oct. 31, 2014. How much: Starts at$2,665 in three-star hotels, $2,925 in four-star, land only. Fine Print: Per person, double occupancy, does not include air fare or city tax (must be paid daily in euros to hotel. Tour Crafters, 800-482-5995; www.tourcrafters.com ("Special Offers" "Deal of the Week").